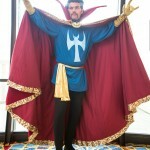 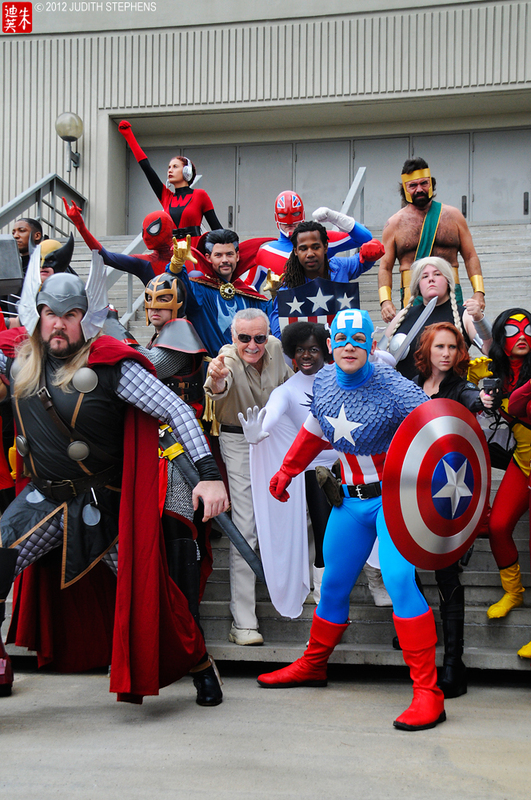 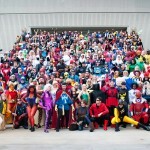 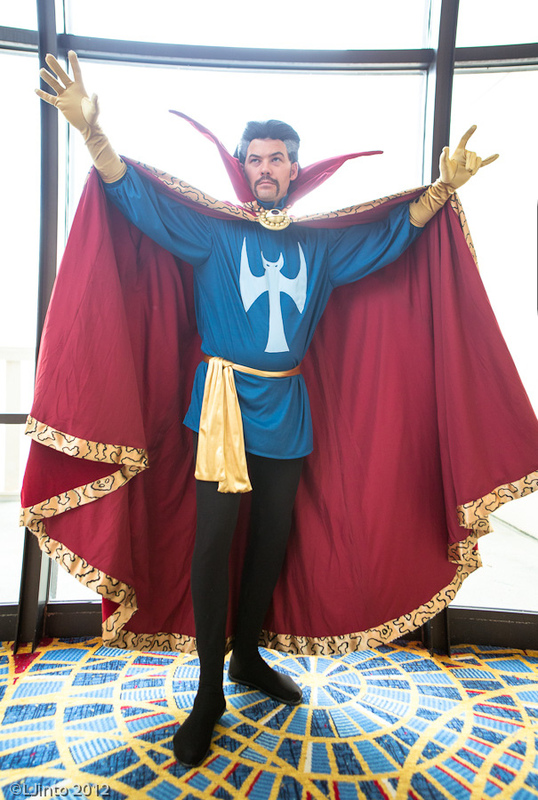 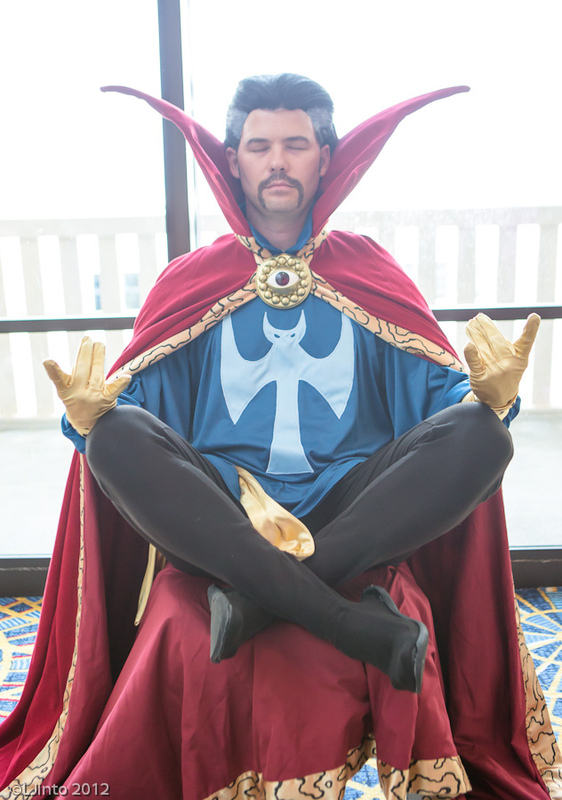 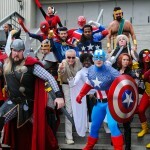 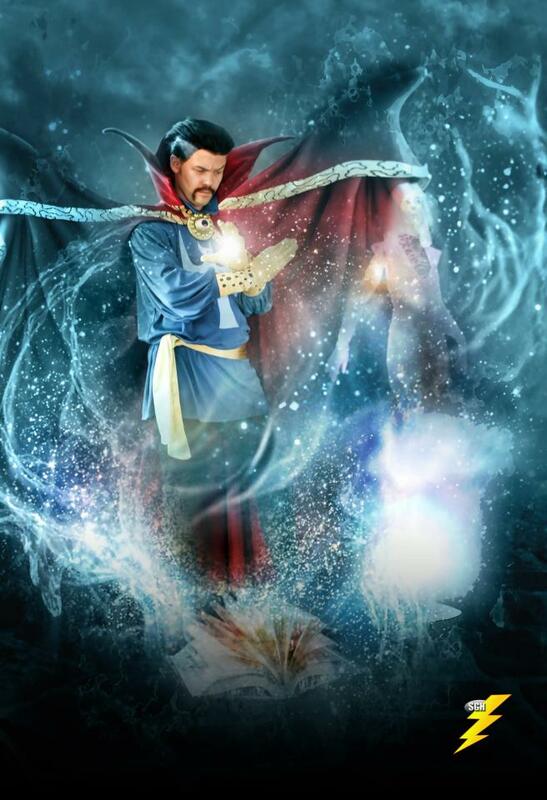 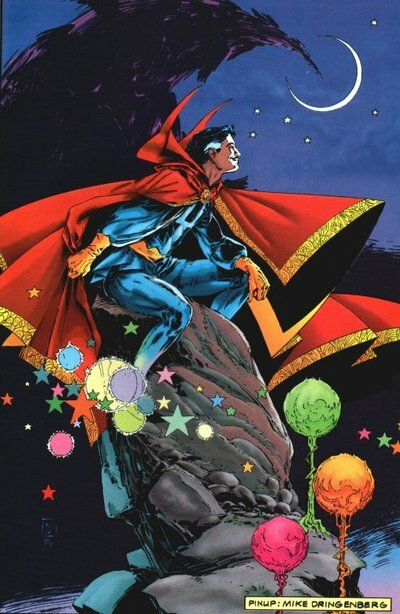 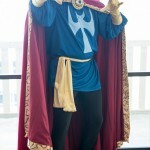 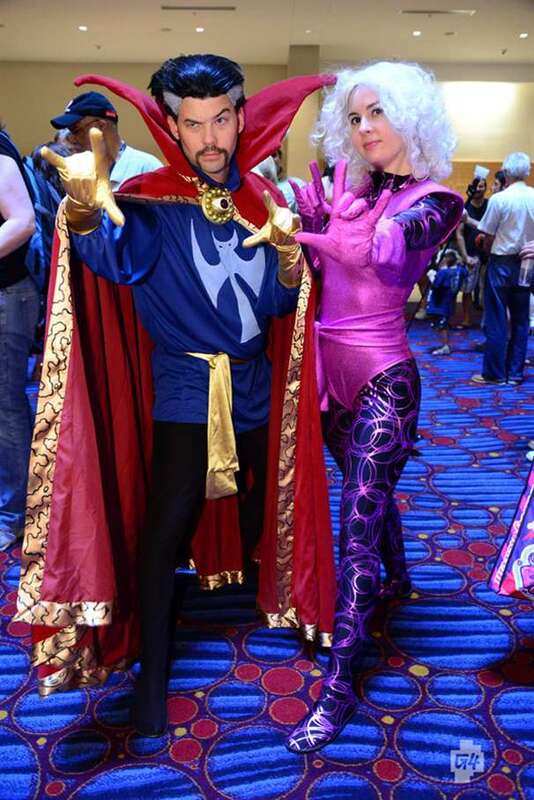 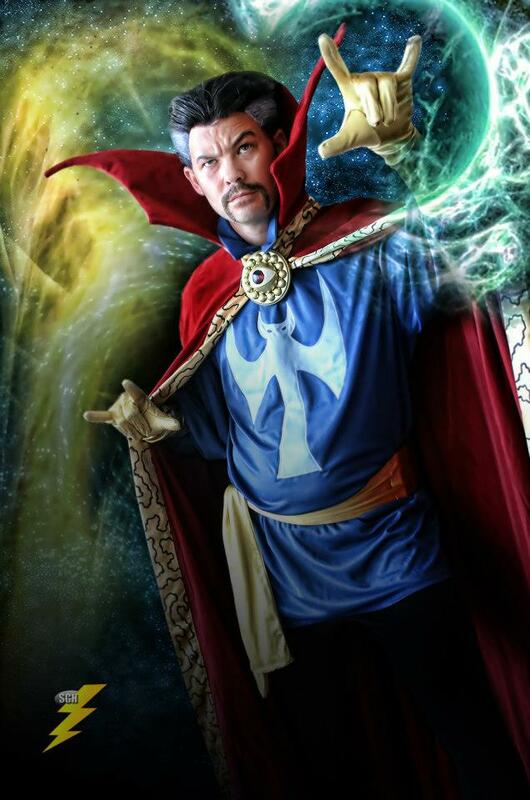 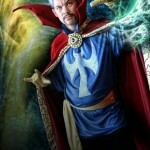 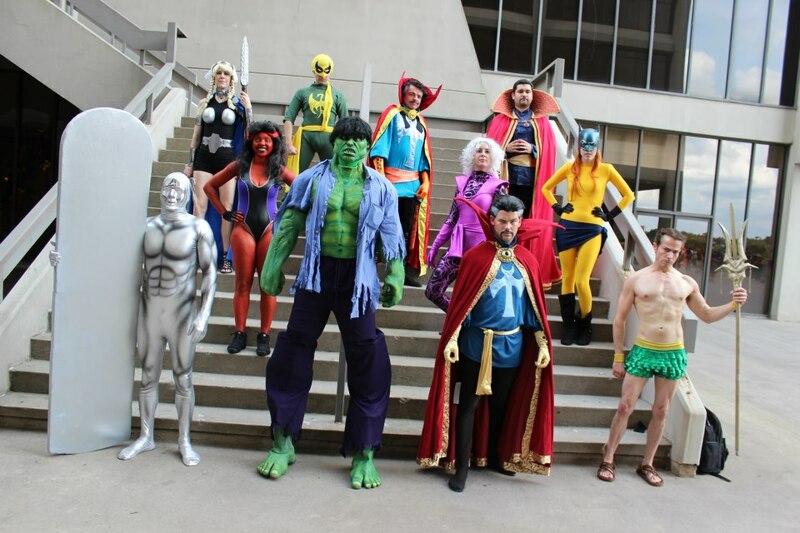 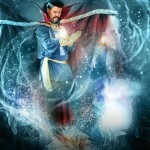 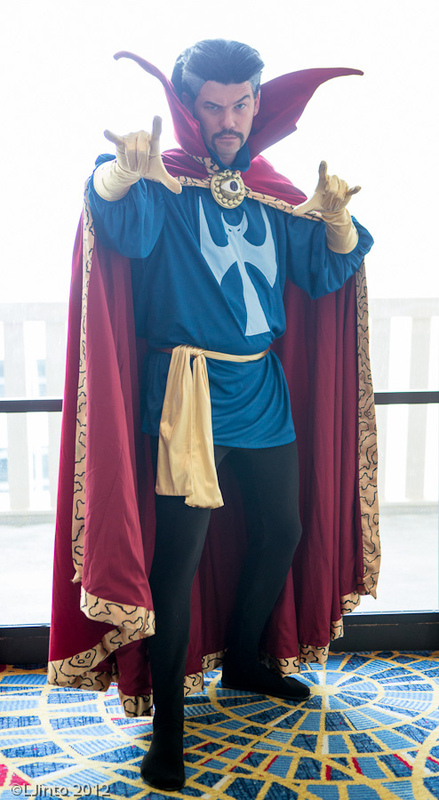 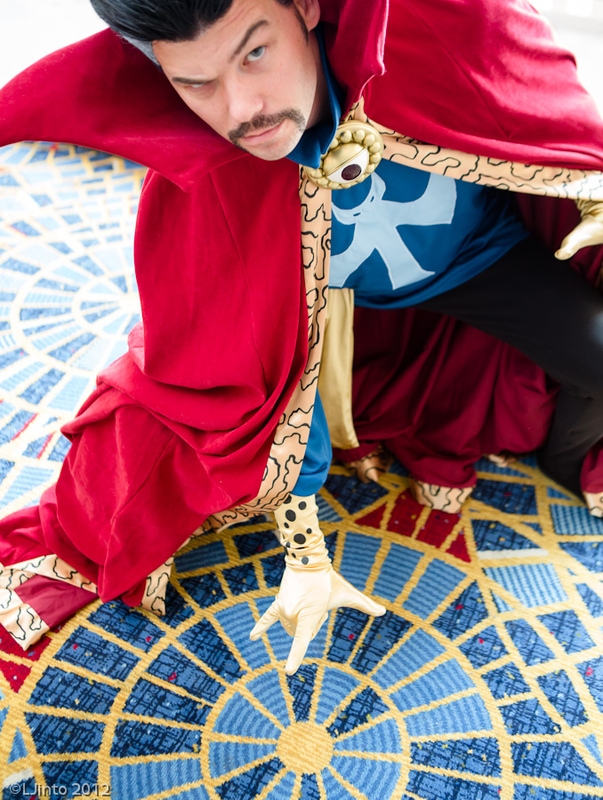 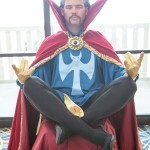 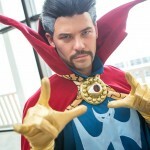 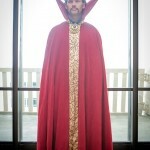 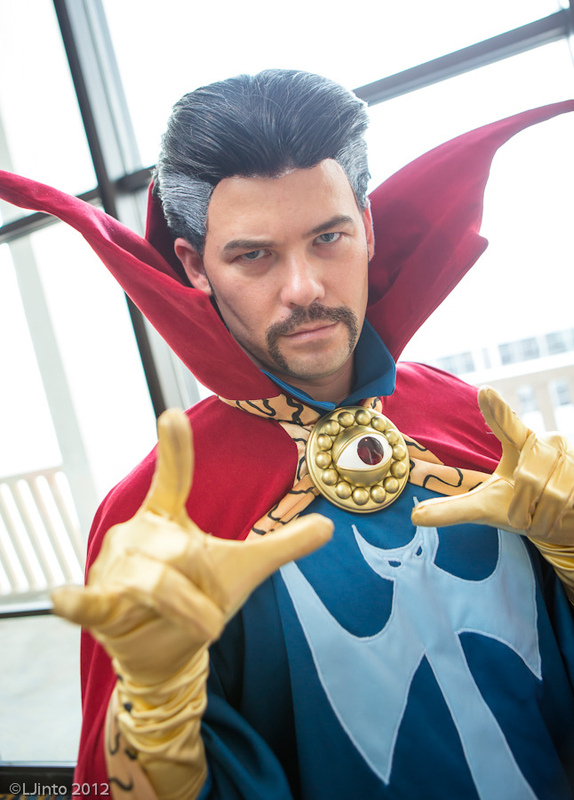 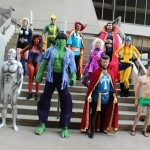 The Sorcerer Supreme of the Marvel Universe is a pretty cool guy to cosplay. 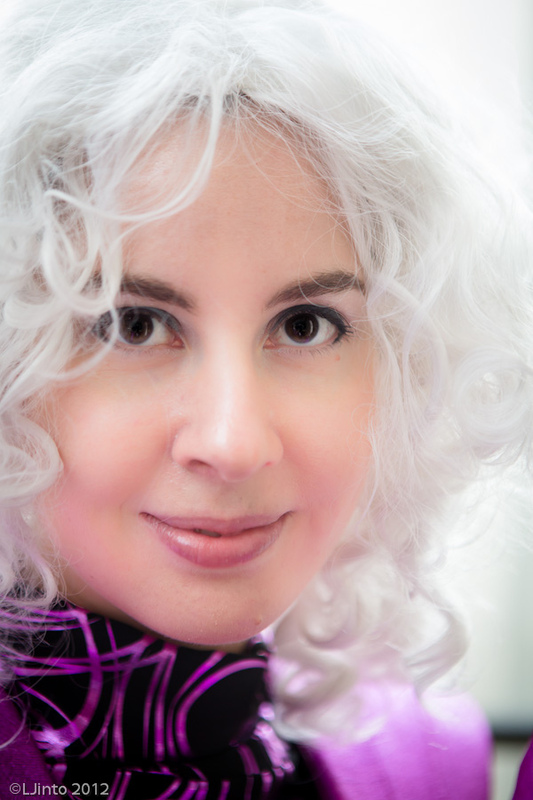 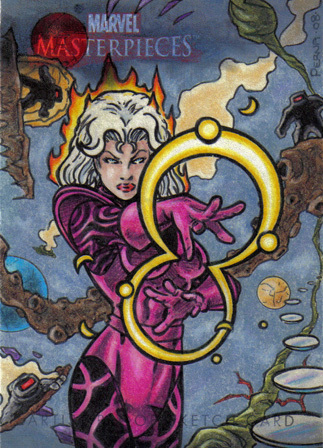 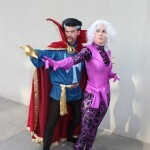 As for myself I wanted to cosplay Clea, a powerful sorceress with her own awesome costume. 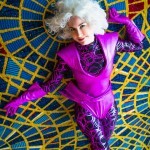 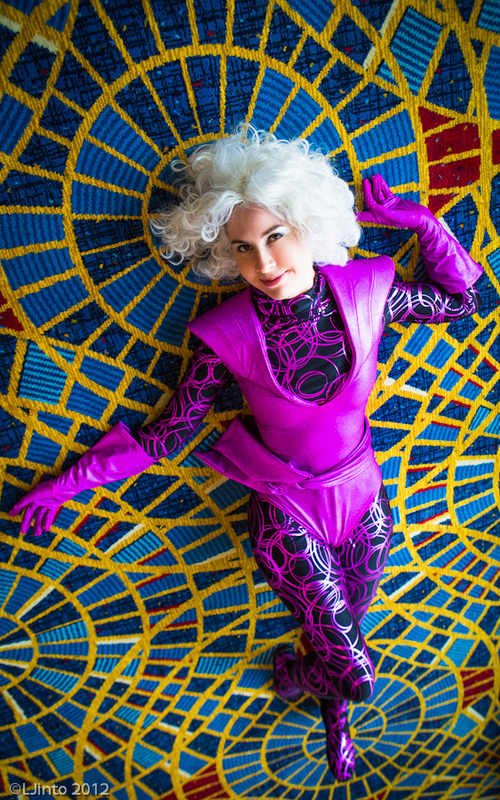 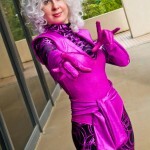 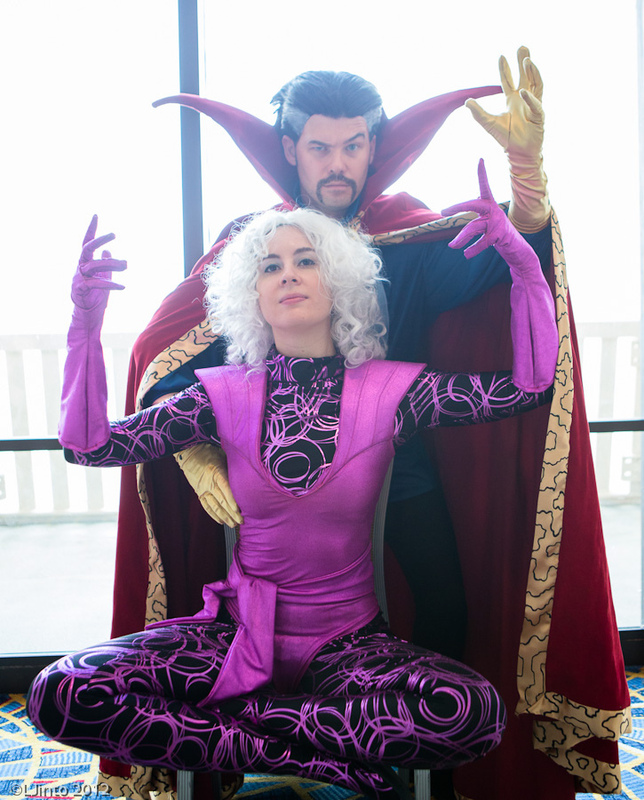 This was a thought I had in the back of my mind until I found the perfect fabric for Clea on Spandex World. 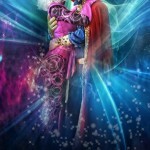 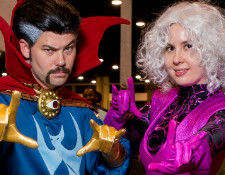 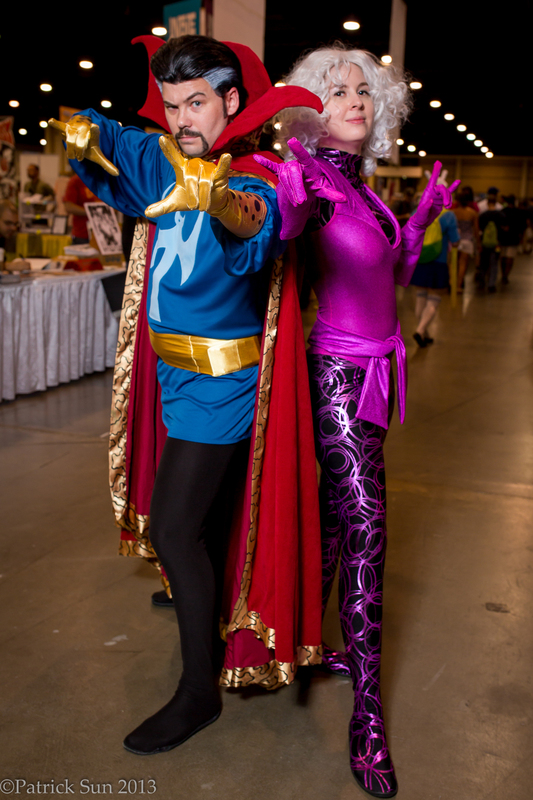 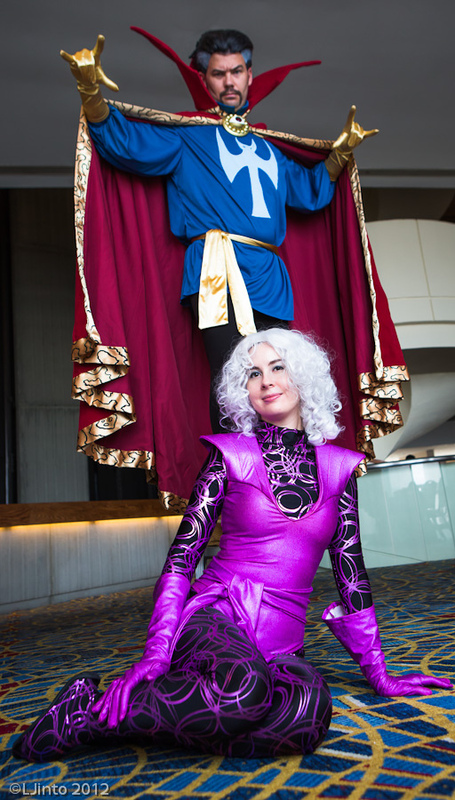 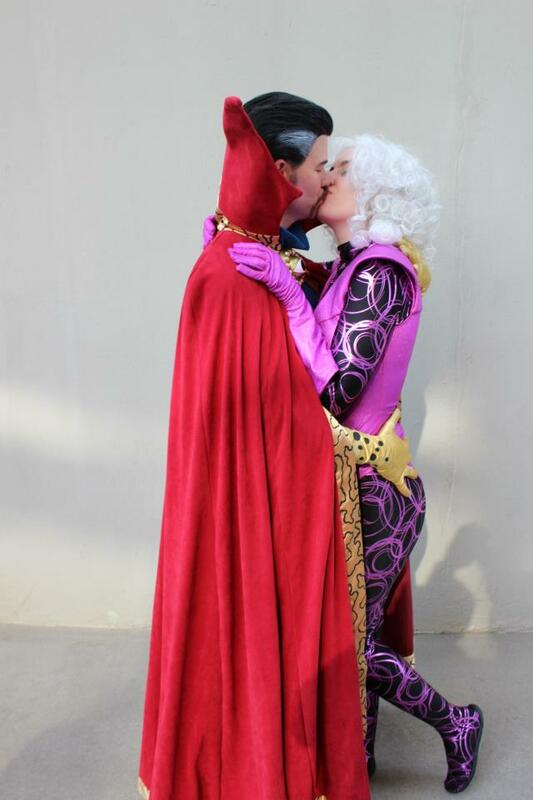 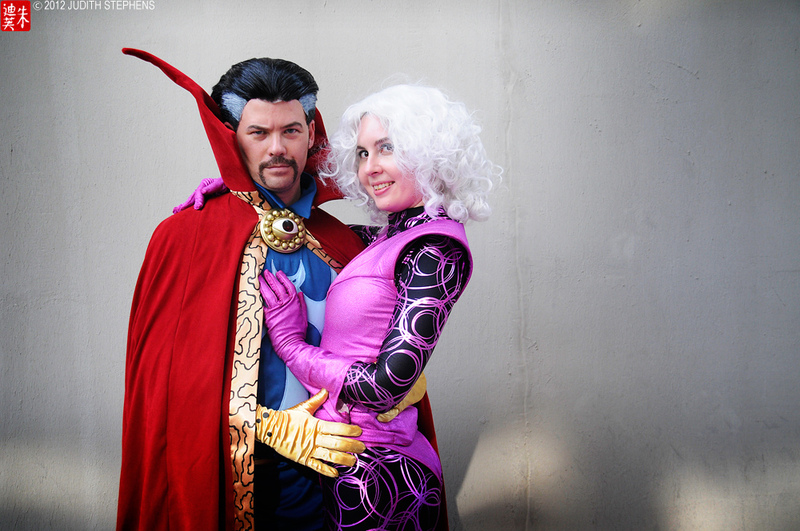 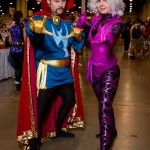 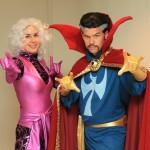 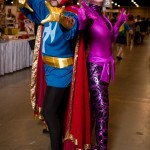 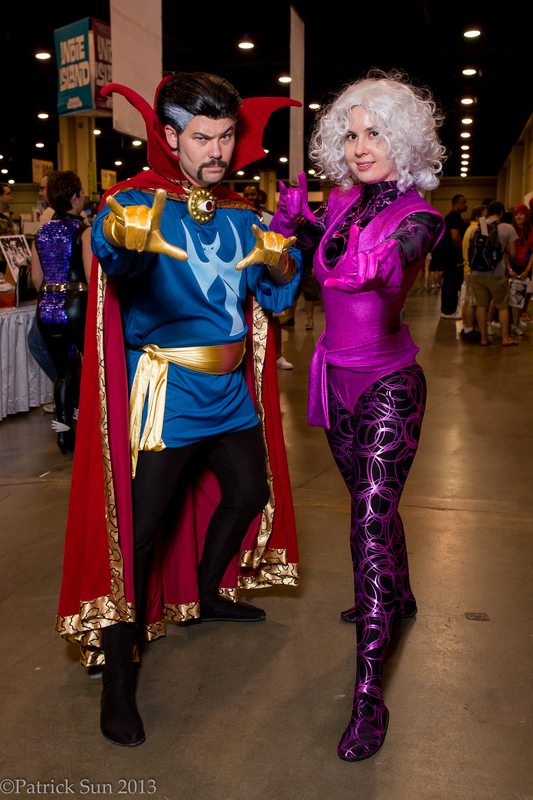 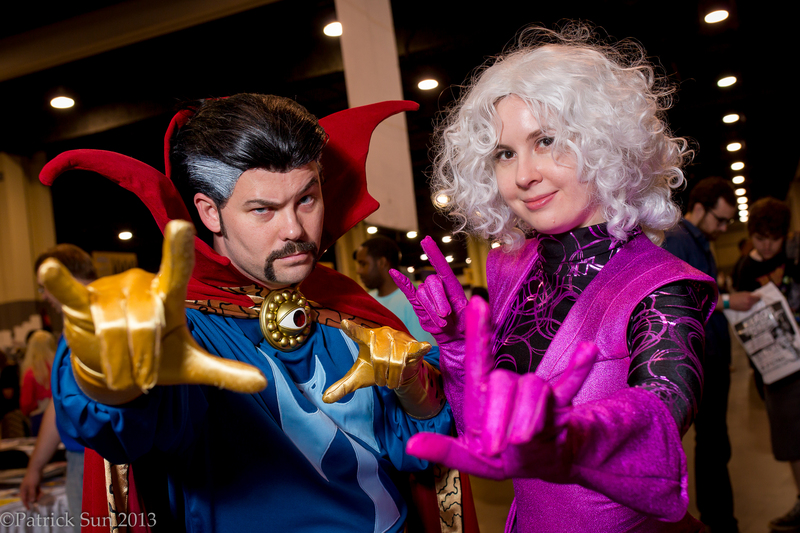 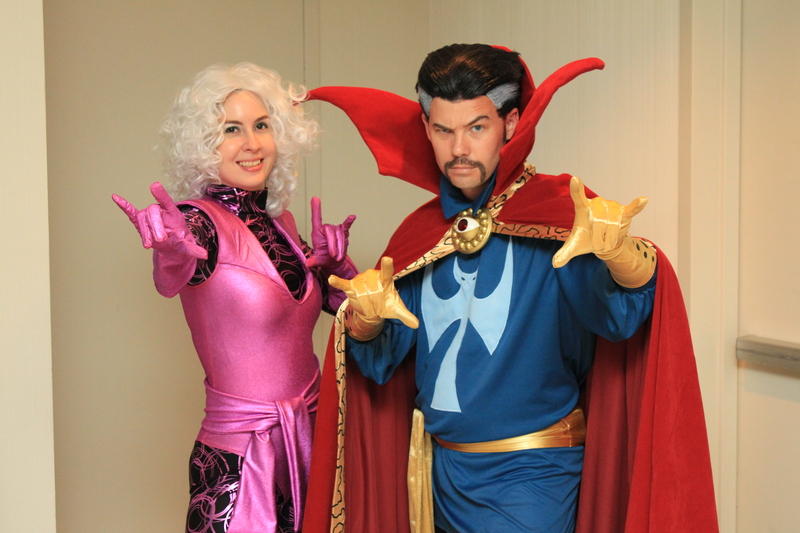 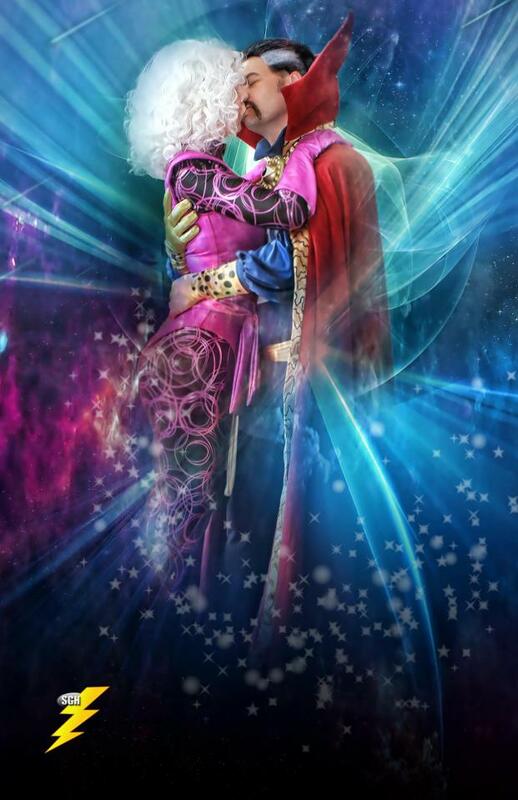 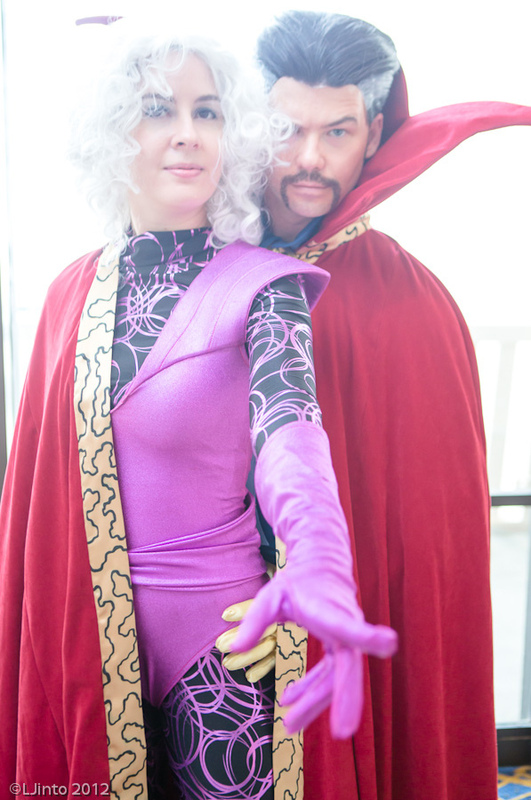 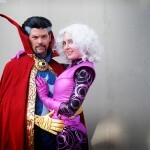 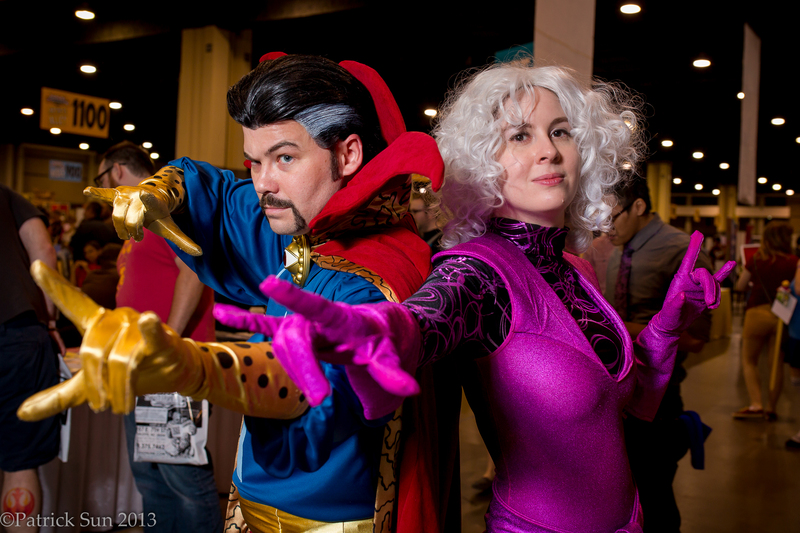 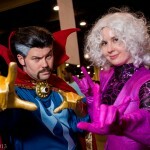 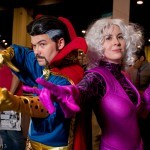 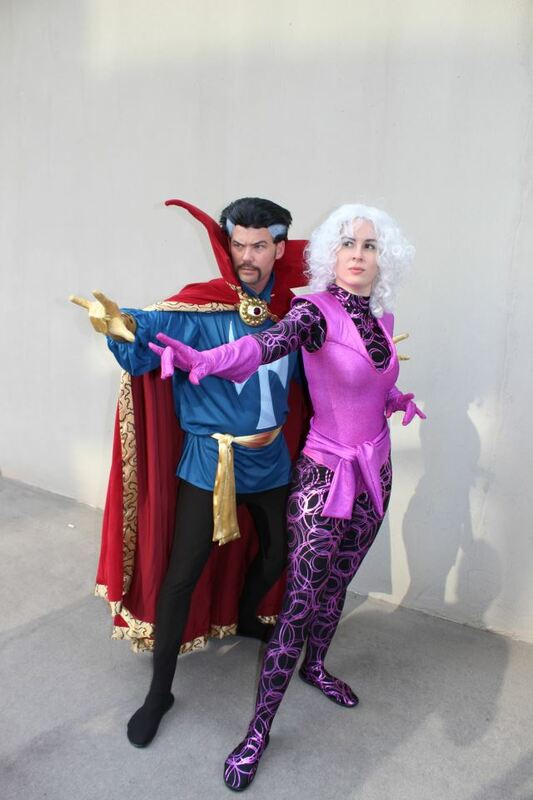 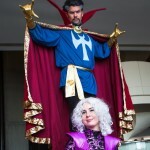 Then I really wanted to cosplay as Clea and it didn’t take much to talk Allen into joining me as Doctor Strange. 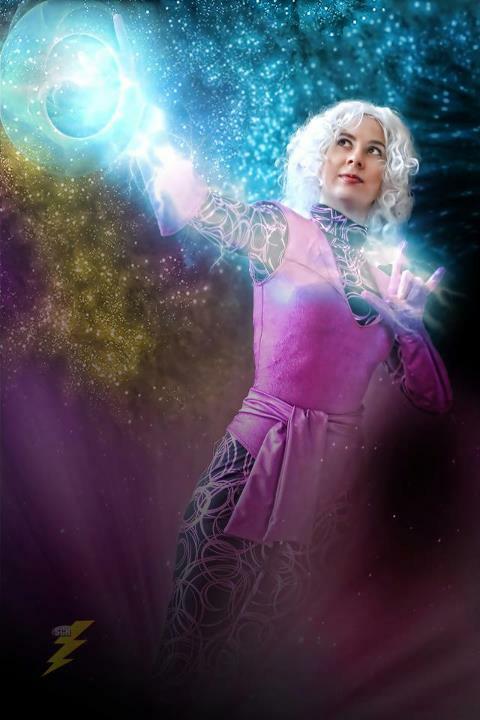 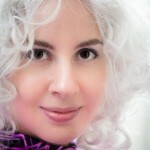 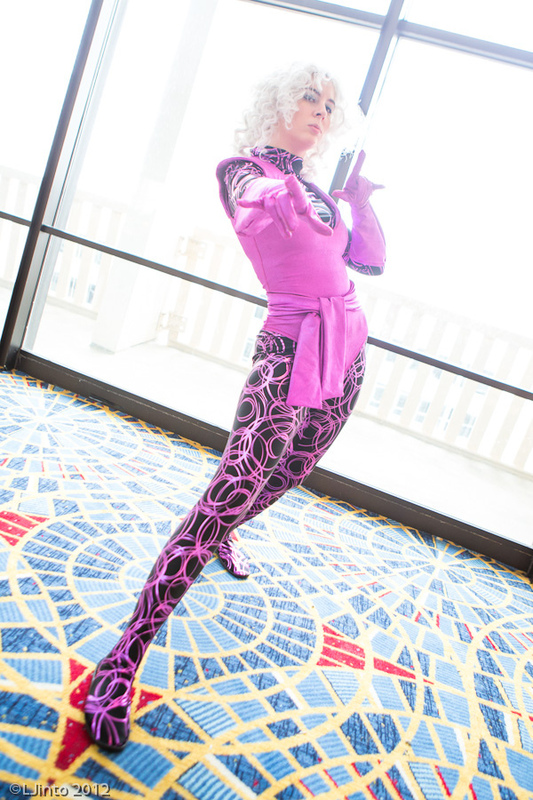 I made all of my Clea costume and used a Glinda style wig from Arda for her wig. 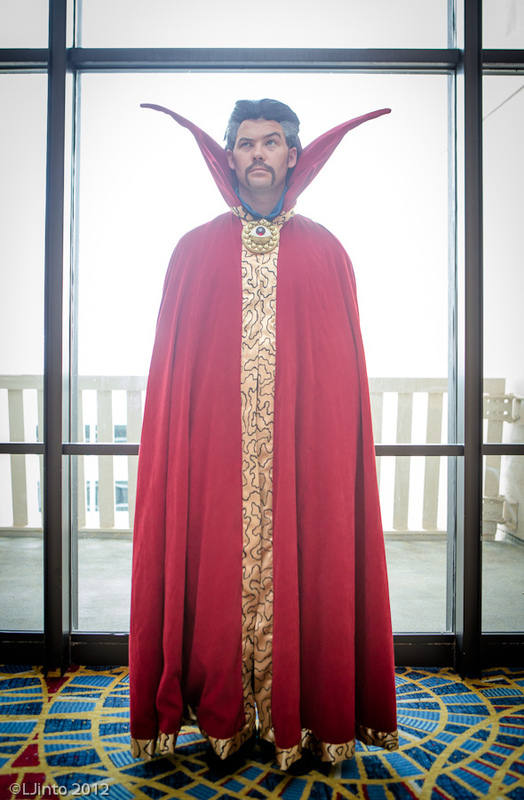 I also did the detail work for Dr. 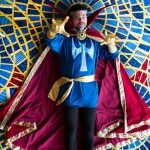 Strange; the cape trim, tunic applique, cape assemblage, and wig styling. 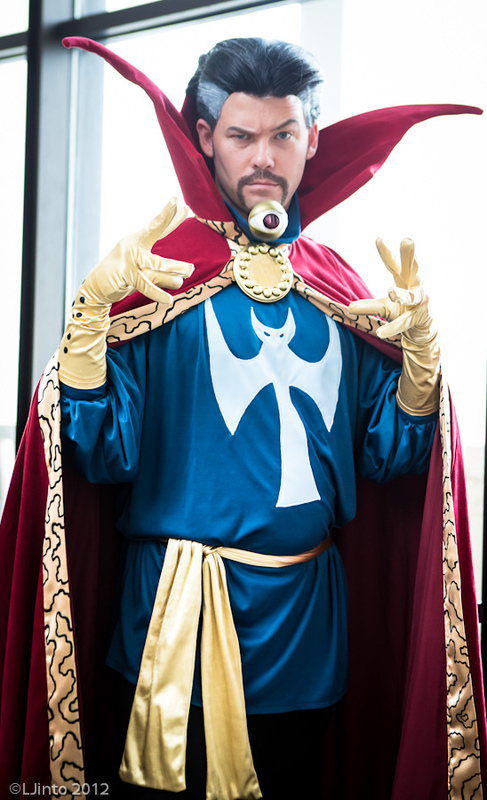 Allen sewed most of the pieces of Doctor Strange together, even the gloves. 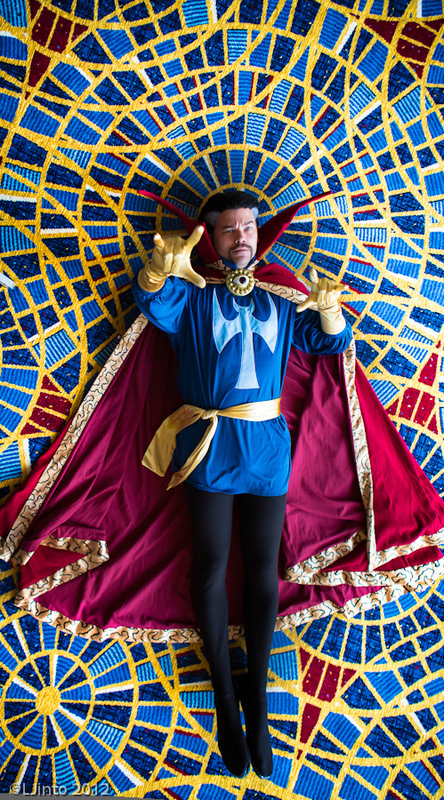 The biggest undertaking for these costumes was the hours and hours I spent hand painting the trim for the Cloak of Levitation. 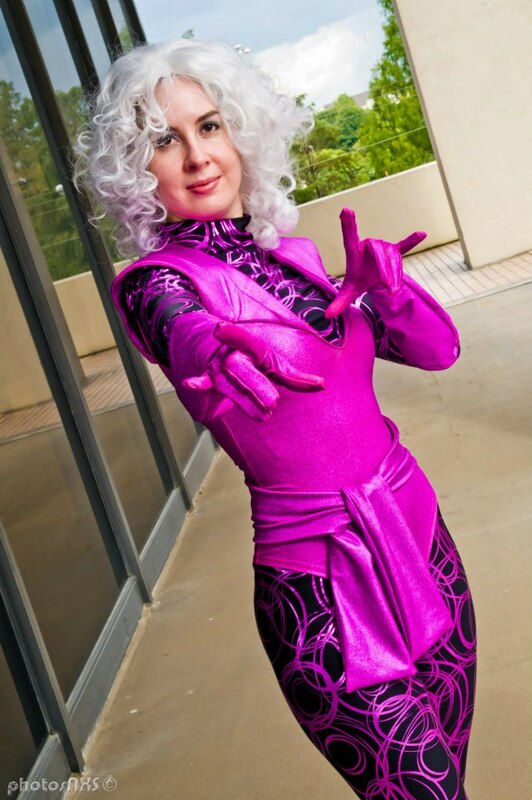 The wig I styled for Dr. 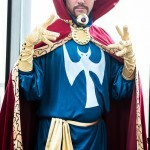 Strange is a Cady from Arda. 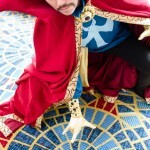 The Eye of Agamotto was made by Joy Sutton.